She is the New York chef modern society has an increasingly insatiable appetite for, seducing both pure foodies, fashion brands, and creative noters who showcase her services to the world. With a track record entertaining diners at Soho’s seafood hub, Navy, with her ultra contemporary kitchen and cuisine, followed by Café Henrie in the Lower East Side, Camille’s home base is now her very own food baby – De Maria, in Nolita. The restaurant opened its doors early last year and has fast become the modern iteration of ‘local’ cuisine with designer vision in a city swimming in such diverse culture and food options. 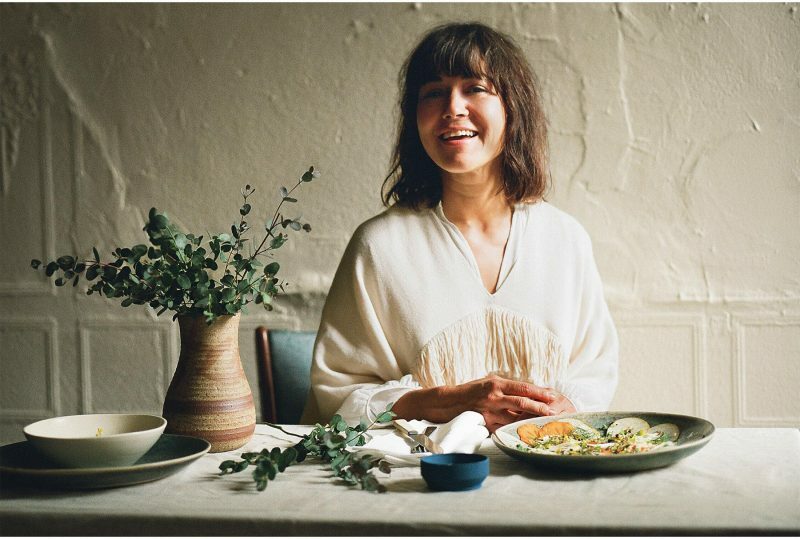 Nourishing innovation is behind her simple, whole-food based menus, with added flavour coming from her Latin American heritage. The make up of staff and hands in the kitchen also pays homage to the unity of women, in a time that she believes society holds them at the epicentre of a lot of it’s societal beliefs.